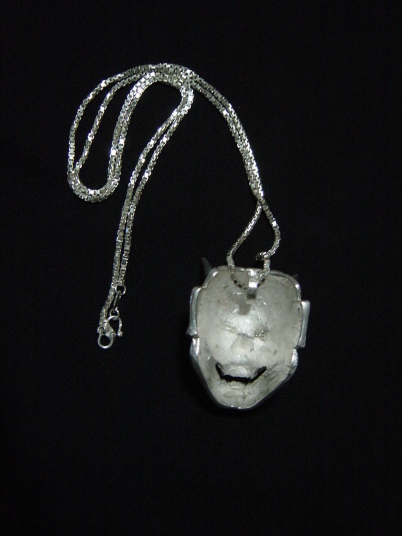 You can use as a necklace or a good-luck charm. 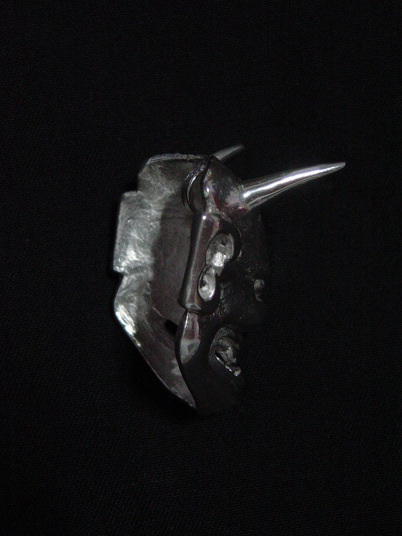 NB: The horn is sharp, please be carefull when you use as necklace. 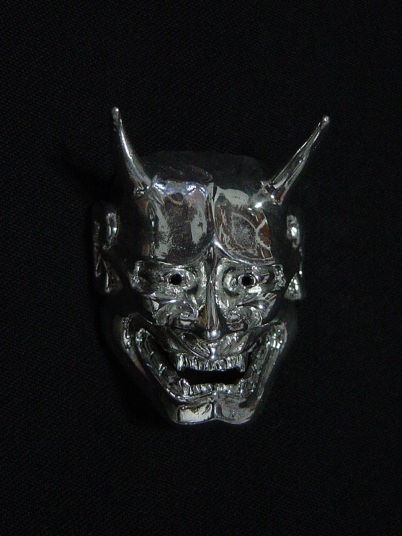 For eyes, we put black URUSHI. 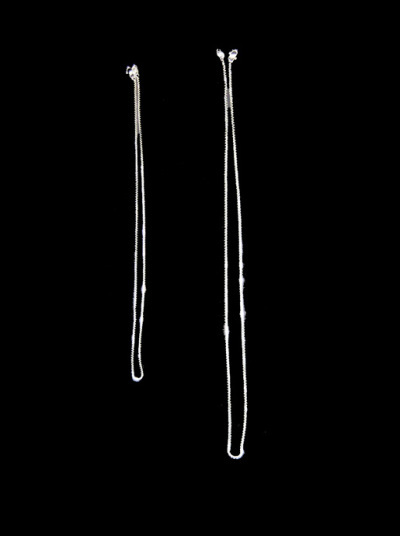 The left is for lady, the right is for men. 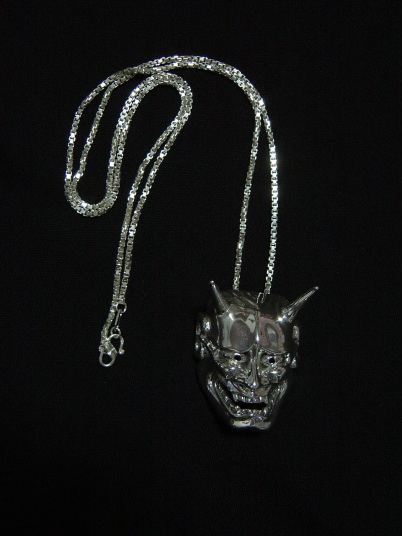 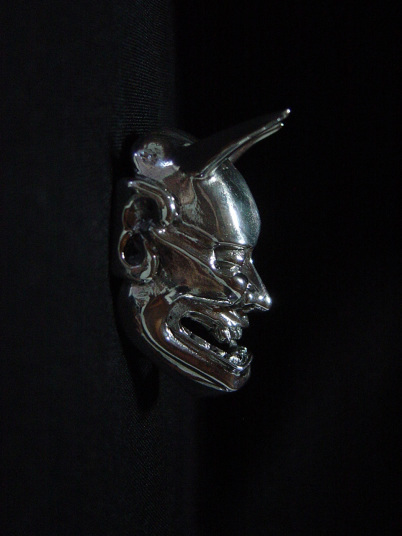 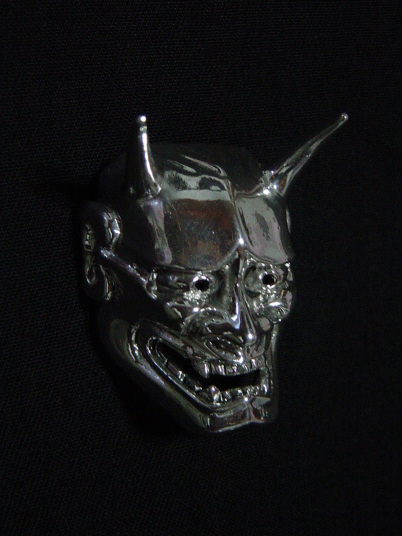 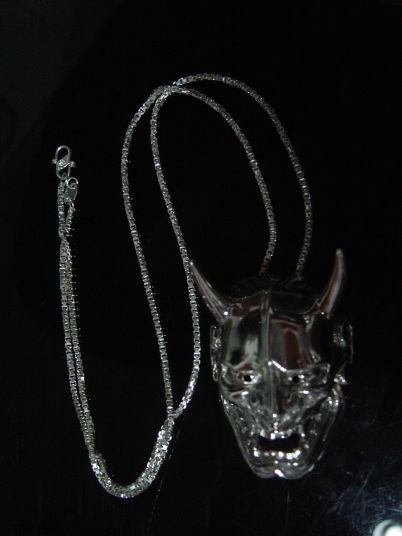 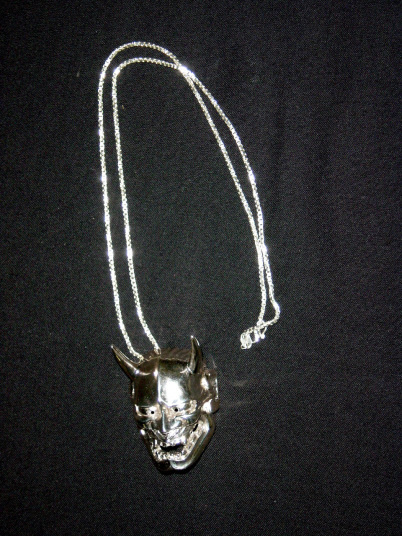 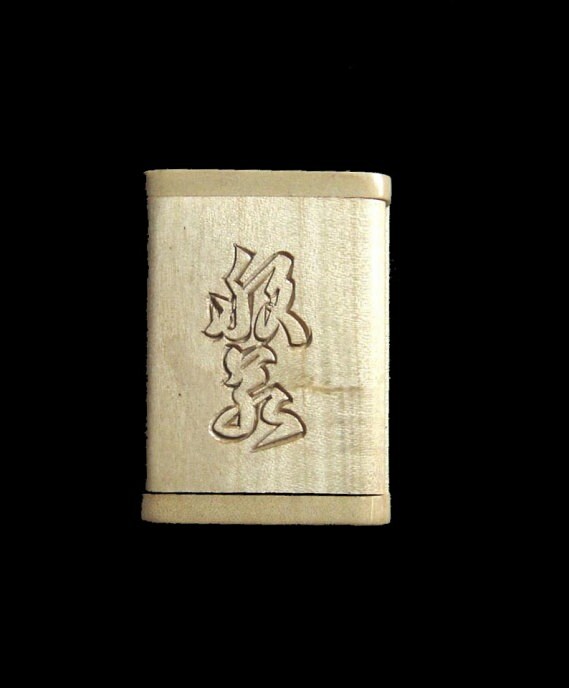 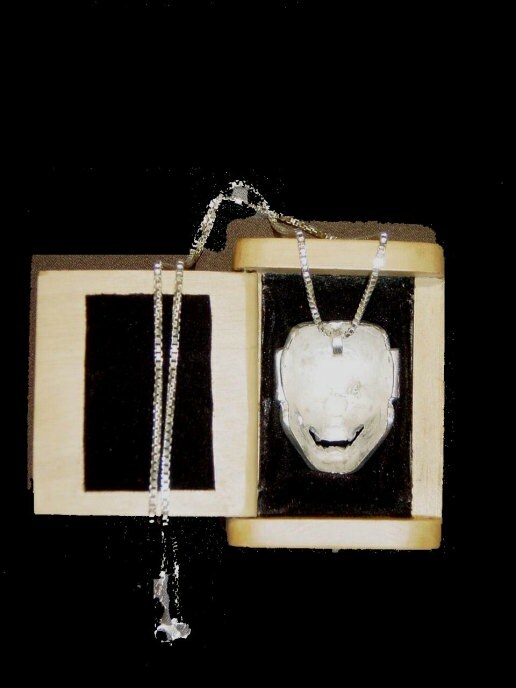 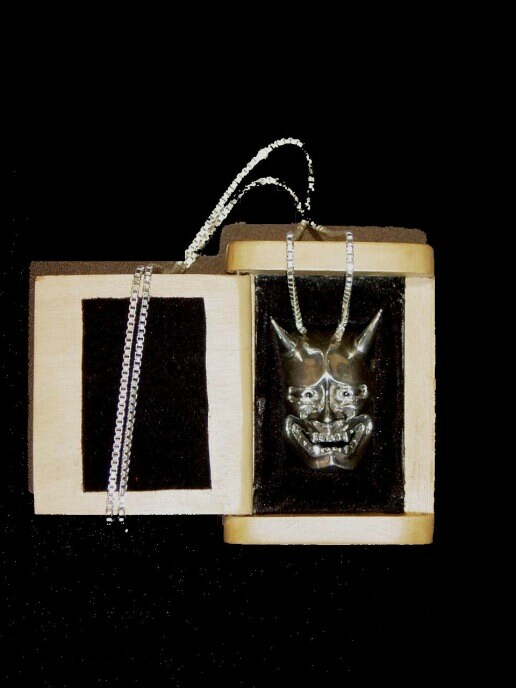 Special wood box for Silver Hannya, on the top, we carved Kanji of Hannya. 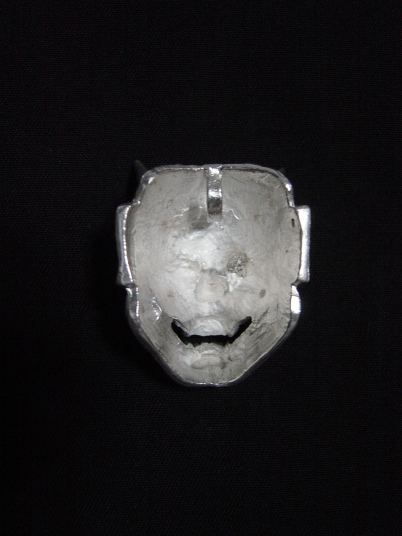 Please up load your own mask!